A Porsche 911 that was once owned by legendary actor Steve McQueen is going to be sold at auction with the sports car expected to fetch around £1 million. The 1975 Porsche 911, or 930 in America, is typically worth around £80,000 but the fact it was owned by McQueen, the King of Cool, and the modifications he made to the vehicle, will see its auction price soar. The Bullitt star installed a switch to kill the rear lights if police officers were trying to catch him and also added a sunroof, dual mirrors, sports seats and larger wheels to the slate grey car. Car dealers trading in specialist cars like this must do their utmost to protect them; a specialist road risks insurance policy for high performance cars will ensure it is insured when it is being driven around by the trader, while a motor trade insurance policy will offer financial protection for the vehicle when it is stored on the premises, just in case it should be stolen or damaged. 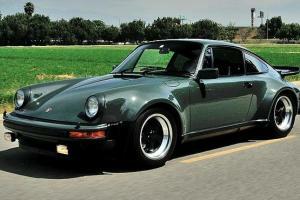 The 911 Turbo was the fastest car the German firm had ever made when it went on sale in 1975. McQueen bought it one year later before then selling it in 1978, two years before he died aged 50. Over the next 35 years it had a number of owners and has now been driven more than 150,000 miles. The current owner has now asked Mecum Auctions to sell the Porsche at its Monterey sale with a portion of proceeds going to The Boys Republic, a non-profit treatment community for troubled youngsters in Chino Hills, California.